Boston Scientific has signed an agreement to acquire US-based firm Apama Medical for around $300m. The deal includes the cash payment of $175m, as well as up to $125m contingent payments based on achievements of clinical and regulatory milestones between 2018 and 2020. Based in Campbell of California, Apama Medical is engaged in the development of novel radiofrequency (RF) balloon catheter system to treat atrial fibrillation (AF). Apama RF balloon is a single-shot and multi-electrode technology designed to aggregate both RF point-by-point and balloon-based ablation approaches to deliver differentiated levels of energy and reduced procedure times. The novel technology integrates built-in digital cameras with LED lights and sensing electrodes on the balloon to enable real-time visualization and evaluation of catheter electrode contact. It will help physicians to customize the amount of energy delivered around the circumference of the balloon and reduce procedure times. Currently, the Apama RF balloon is being assessed in European clinical studies, which will serve as the basis for CE mark approval expected in late 2018. 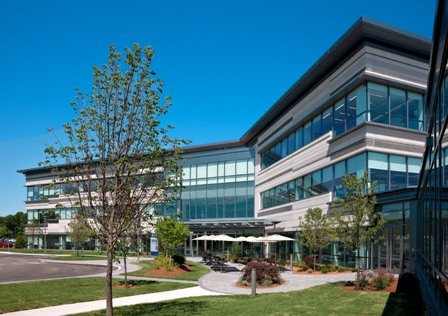 Boston Scientific rhythm management president Joe Fitzgerald said: "The acquisition of Apama further advances our continued investment in the electrophysiology category, and, upon commercialization, would broaden our portfolio of differentiated arrhythmia solutions. “We are also excited about the ability to integrate the Apama RF balloon system with our RHYTHMIA HDx Mapping System to provide physicians with an unprecedented visualization of the heart during ablation procedures." In March this year, Boston Scientific agreed to acquire Switzerland-based medical technology firm Symetis for around $435m in cash.